Matte liquid lipsticks are still going strong. As beauty brands work to perfect the texture and comfort of the formulas, we’re seeing more and more launching. The latest reincarnation of the trend driven very much by Kylie Jenner’s Lip Kits is Smashbox’s Always On Liquid Lipstick (£19). 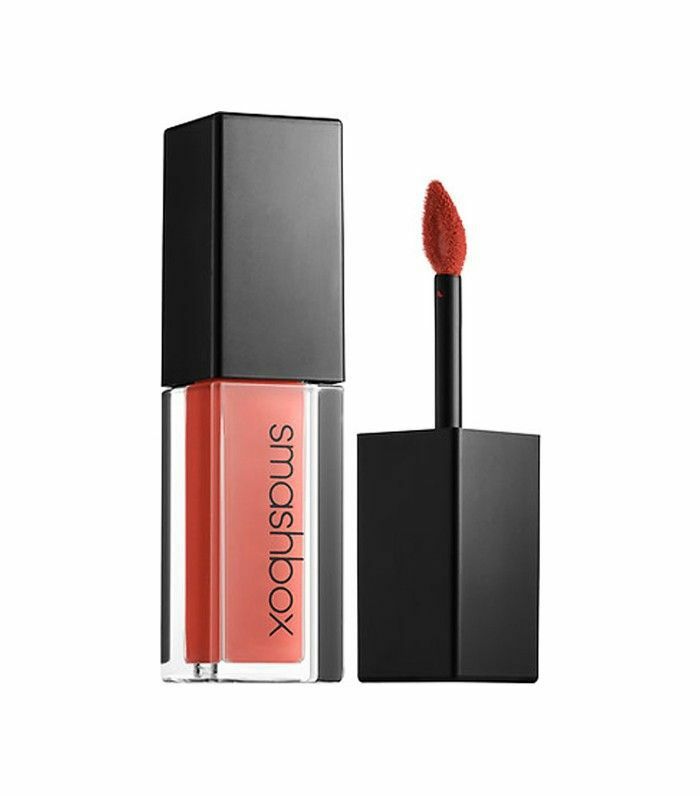 Smashbox’s take on the trend is infused with polymers to ensure long-lasting wear, but also primer oil for a comfortable, matte finish. It lasts all day without flaking, fading or cracking, it doesn’t matter how many coffees you down. While this matte lipstick comes in a variety of nudes, browns and bolds, it’s the Out Loud shade we love. A rich, warm terracotta brick shade, the colour is super punchy but feels cooler than red. It also instantly and magically warms up your complexion without the need for bronzer. It’s our new go-to shade for autumn. We recommend you snap one up too.